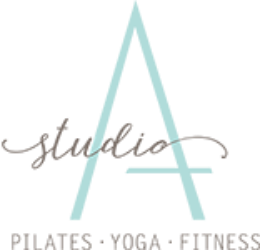 Studio A is furnished with professionally maintained STOTT PILATES equipment, including V2Max Plus Reformers and accessories, Cadillacs, Stability Chairs and Barrels. STOTT PILATES equipment is recognized as The Professional’s Choice by studios, fitness facilities and professionals and the consumer market worldwide. It is easy to use, providing access and opportunity to work your body in every plane of movement. The aim of this class is to focus on the fundamentals of Pilates by incorporating basic principles and exercises with correct form. Clients of all levels will benefit from this class. Advanced practitioners will love the challenge of refining alignment to movement and new clients will appreciate training with paid attention to learning the essentials safely, effectively, and progressively. This class takes all of the fundamentals of a Pilates Essentials class and bumps it up a notch. Pilates Specialized is designed for clients who have Pilates experience, and are ready for a more challenging workout. Sessions are held at a faster pace, and incorporate the intermediate Pilates repertoire. Additional apparatus are introduced, such as the jump board, Stability Chair and Bosu. Advanced sessions are designed for the seasoned Pilates practitioner looking for a challenge. Minimal modifications are made as these classes are held at a deliberate pace and the highest and most rigorous level. All muscle groups are targeted and worked in a cardio-intensive session designed to leave you feeling invigorated and powerful. Instructors must approve clients before signing up. Come and play! Pilates Happy Hour is a fun ‘cocktail” combining repertoire from both mat and reformer disciplines. Share the time with friends and leave in good spirits. Support your changing body while keeping fit, strong and energized. Appropriate Mat and Reformer exercise adaptations are explored in innovative and beneficial ways. Movement considerations are given to provide a safe and effective workout throughout all three trimesters. Moms to Be will learn the benefits of traditional Matwork variations and select exercise modifications on the Reformer that will assist and support her as she prepares for birth. Share the experience and make some new friends along the way. This class is a combination of both traditional and contemporary mat and equipment based Pilates exercises. These exercises are then implemented on the suspension trainer (TRX). The Pilates Suspension Method is a great compliment and challenge to your current Pilates or Yoga Practice to further increase and integrate core strength and scapular stabilization. This is a fun, innovative and effective new twist to Pilates and Fitness.